Dimmer Switch Unit vs Regular Switch? You can turn on any lights be it at home, in a machine, or vehicle by using the ‘regular switch’ but sometimes for some reasons you don’t want the full beam of light therefore, you use the dimmer switch unit so you can go from high beam to low beam and vice versa. 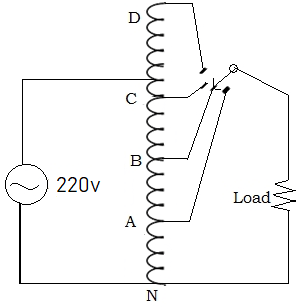 Regular switch simply provide two switching levels ON or OFF. Programmable control via ARDUINO etc. Where is a dimmer switch useful? A dimmer is actually power control device. It will work with incandescent and LED lights, and DC motors; also heating elements such as power control of heating devices like heating element in Water Bath, Incubator, and hot air oven/sterilizers. However there are design variations and degree of complexities. Simple dimmer do not give smooth control but it does work. One good thing about this is that it is durable and sustainable. Precision not seriously but it is accurate. Light intensity control for ophthalmic equipment like microscope: ophthalmoscope, slit lamp, bipolar coagulation diathermy etc. How do I make a simple Dimmer switch? The simplest dimmer switch is a variable resistor also commonly called rheostat. However, rheostat wastes lot of power as heat, hence it is good where power loss is not important. You achieve control by varying the resistance between the light and the power supplies. When using variable resistor in a circuit to vary brightness of a light bulb, you make the resistance greater when you want a dimming experience. At the same time, you make the resistance smaller when you want a brighter light setting. You increase resistance by increasing the length of the path of resistive material through which the electrons have to flow. Meanwhile, you decrease resistance by decreasing the length of the path.